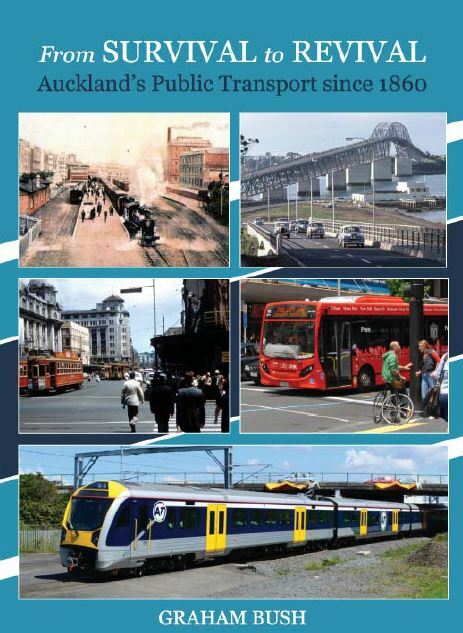 Dr Graham Bush has written a new book on the evolution of Auckland’s public transport since 1860. This is the story of the evolution of Auckland’s public transport since early colonial times which reveals much about the development of the city. From the pioneer entrepreneurs operating plodding horse-buses, through the dynamic construction of an outstanding electric tram system, a network of harbour ferry services and the brief interlude of trolley-buses to the electrification of suburban rail and the ubiquitous diesel bus, public transport has played a vital part in Auckland’s living and lifestyle – this book tells it all. Graham is a former Associate-Professor of Political Studies at Auckland University and is the secretary of the Campaign for Better Transport. If you don’t own a chequebook, you can pay by credit card. Contact for details. We’ve (finally!) moved to a new hosting provider. If you find any issues, please let me know via the blog comments here.